Outer planets Saturn, Uranus, Neptune and Pluto are heavy hitters. These guys mean business, and when they transit a personal planet (Sun, Moon, Mercury, Venus and Mars) or angle in your chart by close degree,you can count on upsets in your world. Right now, if you're a Fixed sign (Taurus, Leo, Scorpio, Aquarius), then you're the winner of a Jupiter in Scorpio transit. 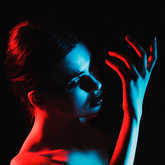 Mutable signs (Gemini, Virgo, Sagittarius, Pisces) will feel the effects of the current Neptune in Pisces transit. But if you're a Cardinal sign (Aries, Cancer, Libra, and Capricorn), you have the simultaneous transit of Uranus in Aries, Saturn in Capricorn, and Pluto in Capricorn. Easier said than done, right? And yet, we humans are a resilient bunch. We can take so much pressure from the outside world -- and even from our own creation -- and not only manage to survive, but thrive. What resonates most about this quote as I apply it to astrological cycles is the reminder that even hell has an ending. Eventually, you'll get out and come to the other side of pain. Eventually, you'll see the light again. Yet the only way to ensure that is to keep going through the darkness. While it's true that every outer planetary transit to your horoscope has the commonality of morphing your world through a series of stressful circumstances, it's important to note that each outer planet has a very different style, or modus operandi, with which he accomplishes this. I thought it might be helpful to briefly clarify the differences so that when you or someone you know experiences a transit, you'll have an idea of how the specific outer planet goes about achieving his mission. 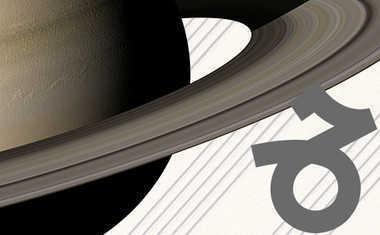 Saturn transits change through restrictive, limiting and sometimes overbearing circumstances. 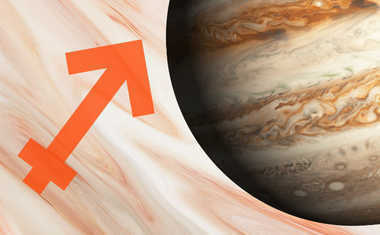 Saturn is also discipline, responsibility and authority. There are many different ways in which this can happen. Let's say you're having a Saturn transit to your 10th House of Career. This angle of the chart is concerned with your status in life, your professional goals and ambitions, and authority figures in your world. When Saturn comes to this point in your horoscope (and we all get this transit about once every 29 years) it can either be an incredible career pinnacle, where you're recognized as the authority in your industry, or it can be a time of drudgery, where, in the eyes of the boss, your best is never good enough. The positive end of this transit uses the most illuminative qualities of Saturn to help you master your goals. The shadow is felt as roadblock after roadblock as you work ferociously to get your name out there. Either way Saturn crystalizes what he touches. That's how he teaches. What if Uranus was transiting the same angle in your chart? Uranus is the great awakener of the zodiac. He presents radical change in our life in the most sudden, unexpected way. When transiting Uranus crosses your 10th house you can expect sudden opportunity in career or a sudden change in status (going from married to divorced or divorced to married are examples). This is also a time of waking up to what liberates you in terms of your life direction and following it. Uranus teaches by destabilizing what it touches, forcing us to accommodate to these shifts and get in touch with our brilliance. How about good old Neptune? Neptune dissolves what it touches. When you have a Neptune transit, something -- or someone -- tends to slip through your fingers. This can also be a time of tremendous idealism because of the extraordinary spiritual component of Neptune. A transit of Neptune to your 10th house can result in a major ego loss professionally or personally. There might be a scandal involving you that obliterates your reputation if you have been going down an unsavory path. Alternatively, this might be a time you decide to follow your imaginative career goals and pursue that opportunity in music, film, photography or the healing arts. What will disappear during this transit is your attachment to the status in life you held before Neptune arrived. Neptune transits teach us by softening us up enough to allow illumination in. And then there's Pluto. This planet, more than any other, likes it in hell. He is, after all, the God of the underworld. When you're having a Pluto transit you know it because the pain you endure can be brutal. Pluto teaches through elimination. He kills off what you no longer need -- what is actually impeding you from soul growth. The more you fight Pluto on this, the harder your transit will be. Do yourself a favor and when Pluto comes calling, prepare to surrender. You're only job during a Pluto transit is to accept the transformation. Even if it hurts. Especially when it hurts. Pluto is the planet of power, and if he happens to transit your 10th house you can either arrive at an incredible position of power (sometimes notoriety) professionally, or you can fall from a position of power if you've been abusing your clout. Either way, Pluto teaches you that with great power comes great responsibility and if you're not using it for the greater good, when he transits your 10th house he's going to rip it right away. So, are you going through hell right now? Join the club. My advice? Keep it moving.